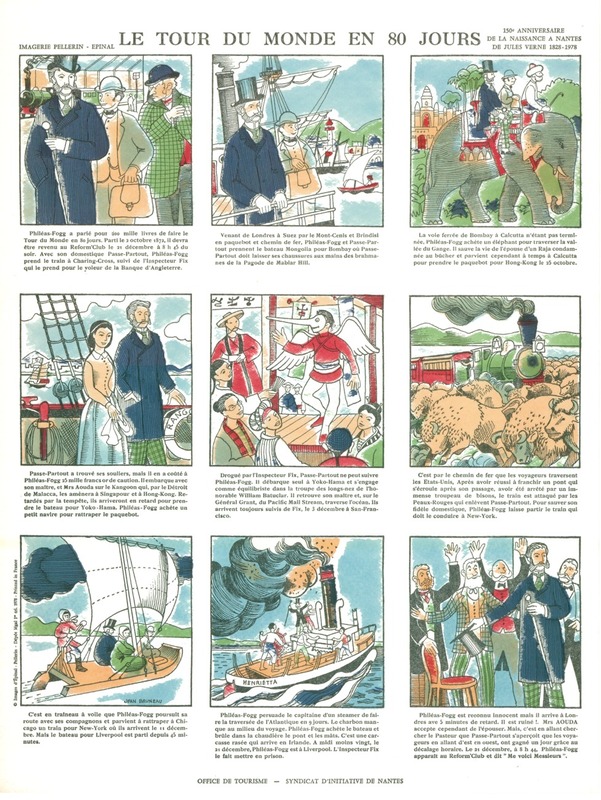 When he was a child, Jean Bruneau used to watch and read old idealised images (main illustration of the news), which was the main way of vulgarising various facts from the previous century, whether magnificent or catastrophic. 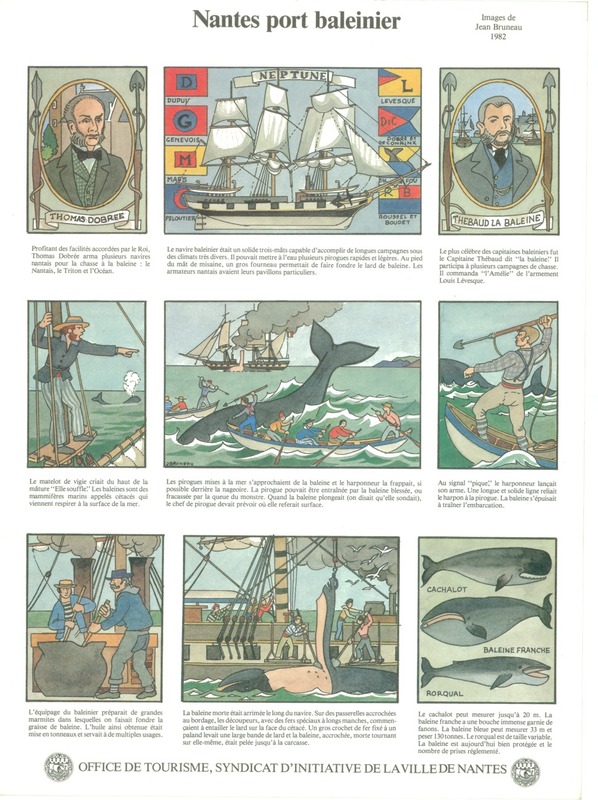 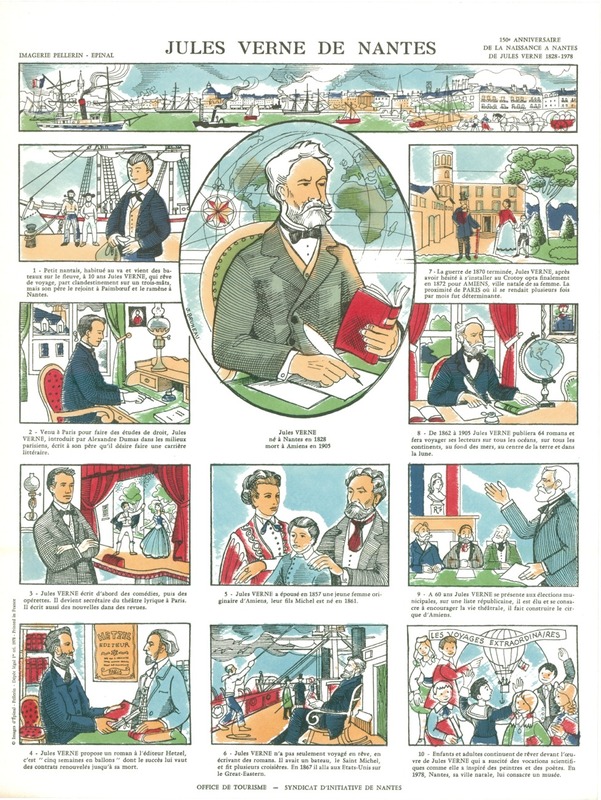 In 1978, in order to celebrate Jules Verne, he had the idea of using this method to illustrate the Novelist’s life. 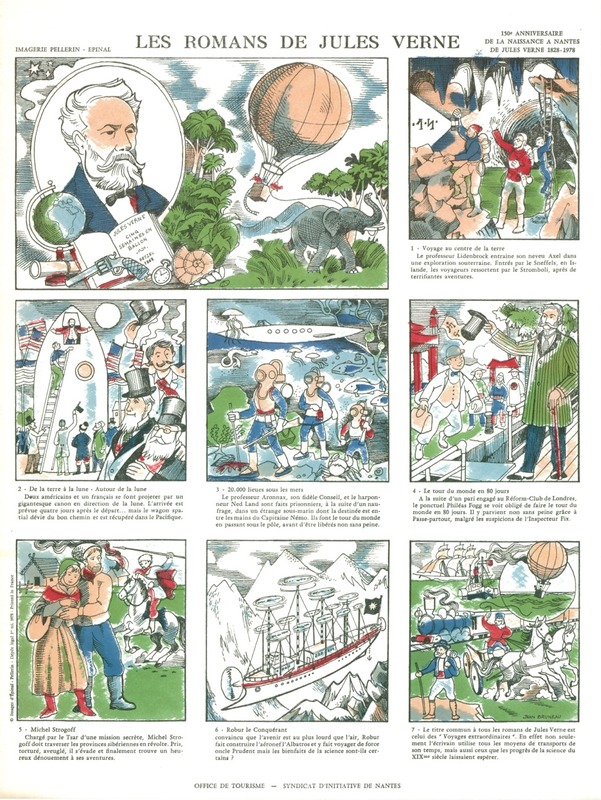 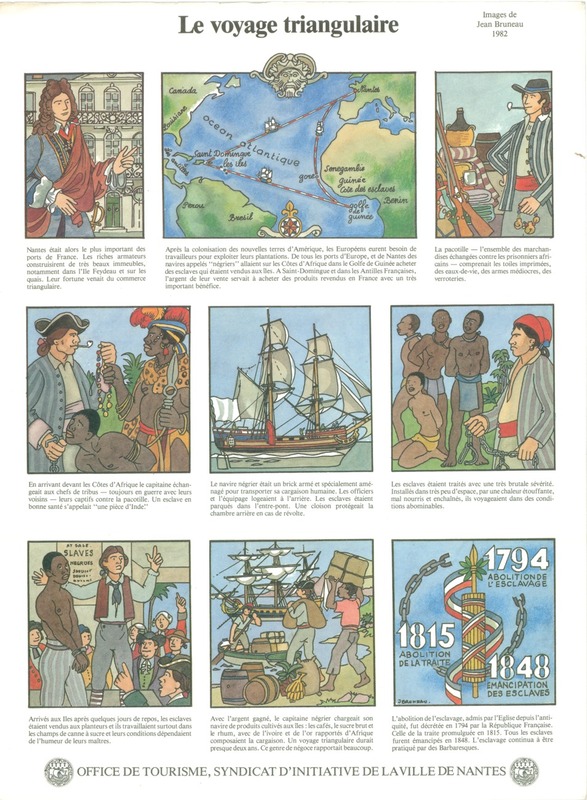 Always esthetical with simple texts, this summary of stories was enjoyed by the people of Nantes. 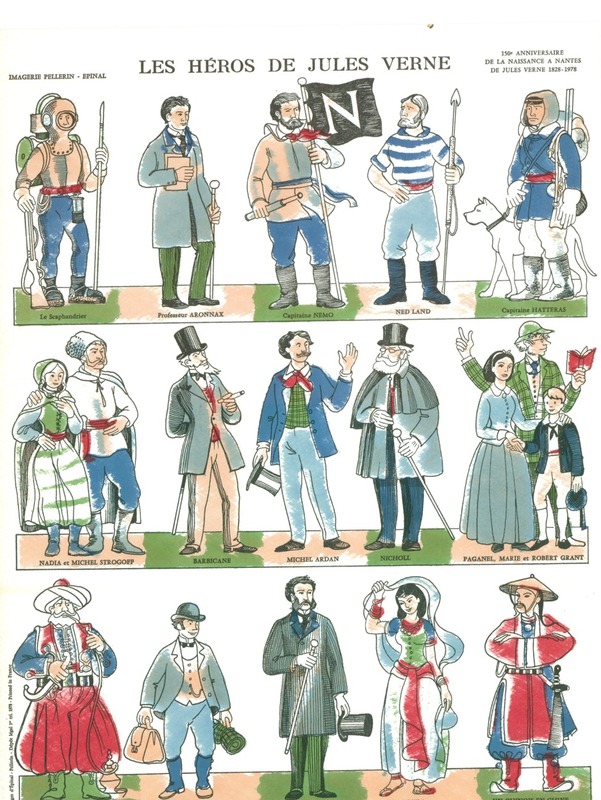 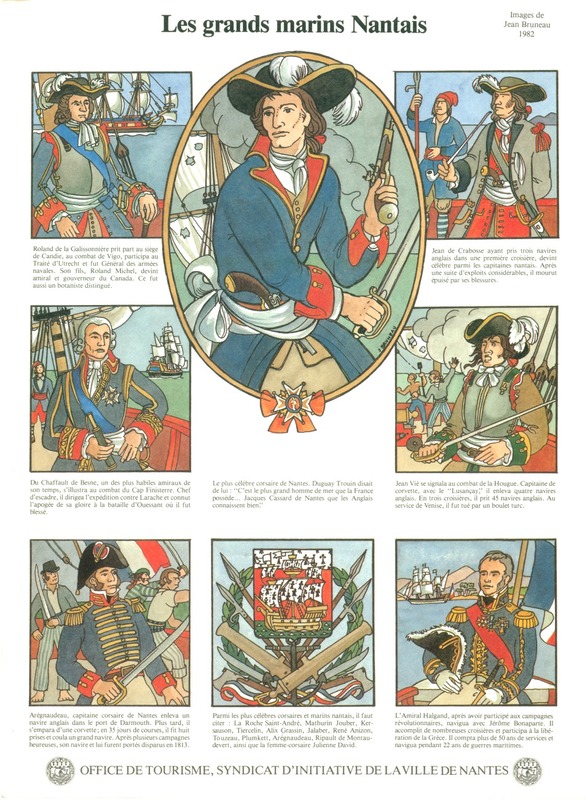 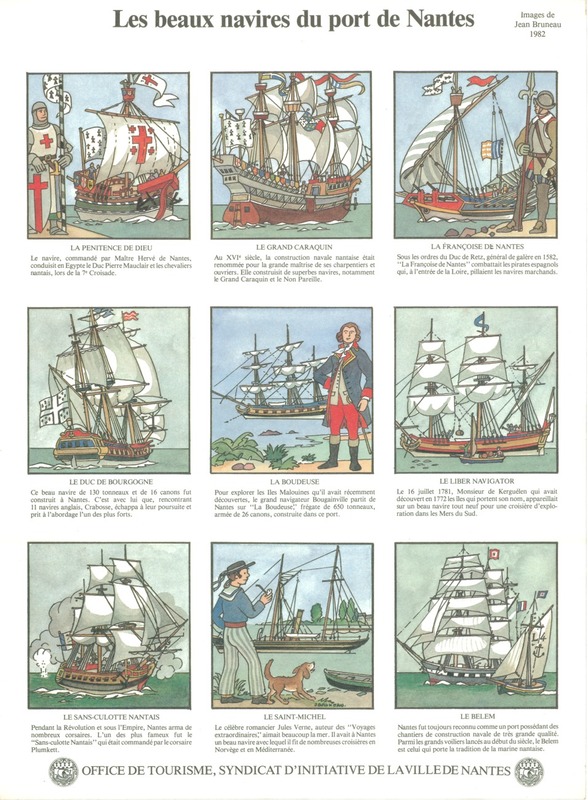 The O.T.S.I, followed by various companies then asked Jean Bruneau to illustrate varied themes on the Historical side of Nantes.